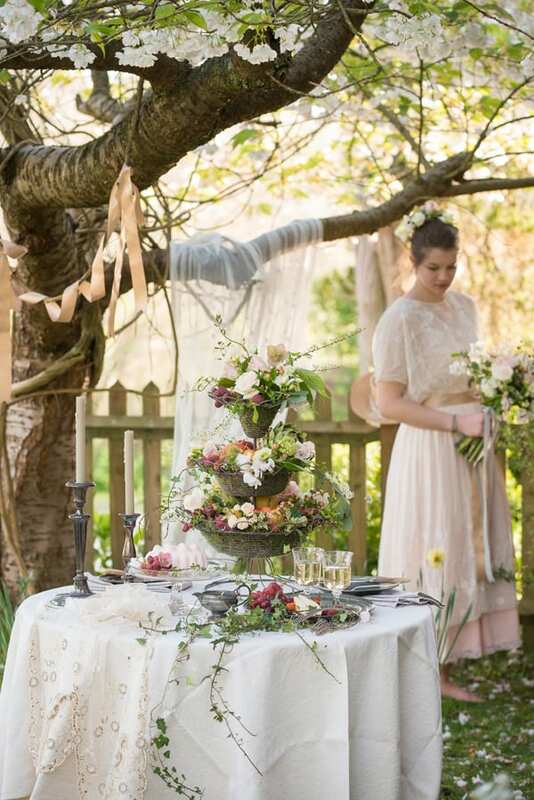 Today, on Wedding Wednesday, I’m delighted to feature photos from a beautiful spring wedding inspired shoot, with floral designs by Jane Will of Flowers & Daughters. ‘We moved to a new family home in a village in East Sussex five years ago. By a quirk of history, it came with a field attached and I discovered by chance that it used to be a market garden a long time ago. So, of course, what else to do but create my own cutting garden? These pictures are from last year’s spring shoot taken at the peak of the blossoms, on a glorious day with bright, low sunlight. Chris brilliantly created a soft backdrop of cherry and apple blossom and caught the last of the glancing sun…producing a beautiful hazy, romantic effect. 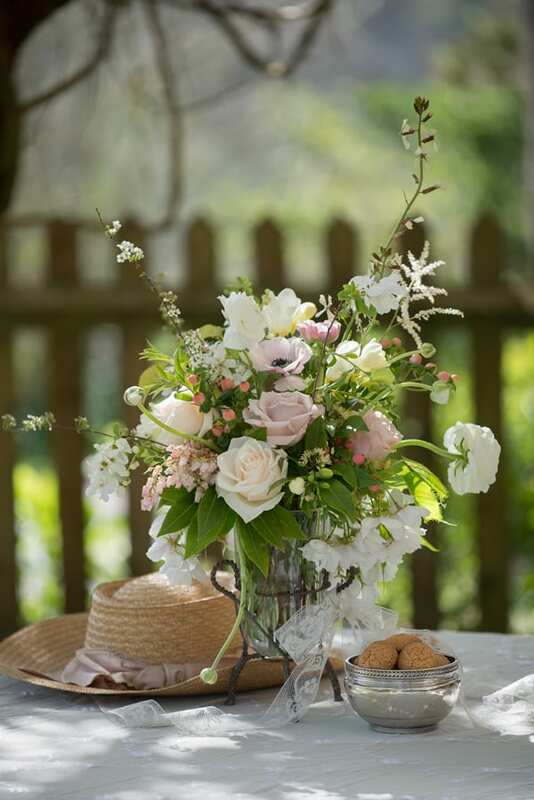 I wanted the flowers to be unashamedly soft and romantic, celebrating all the stunning blooms which were just breath-taking last year. So, the bouquets feature orange and spirea blossoms along with skimmia, viburnum, pieris…. and a secret ingredient! For years I have been including unusual natural ingredients and I’m really thrilled that local and foraged materials are becoming more popular. They give so much more texture, variety and subtlety. I love the endless creative possibilities! 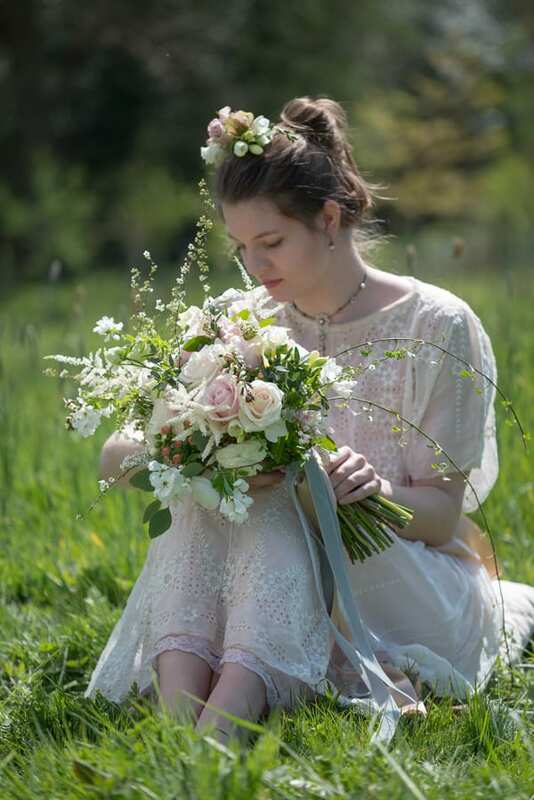 Conventional flowers I used for the shoot were anemones, ranunculus, freesias, lisianthus, hypericum, astilbe and Talea, Vendela and Sweet Avalanche roses. And the secret ingredient? The delicate flowers of edible rocket gone to seed! The most amazing subtle colour and it holds up remarkably well. 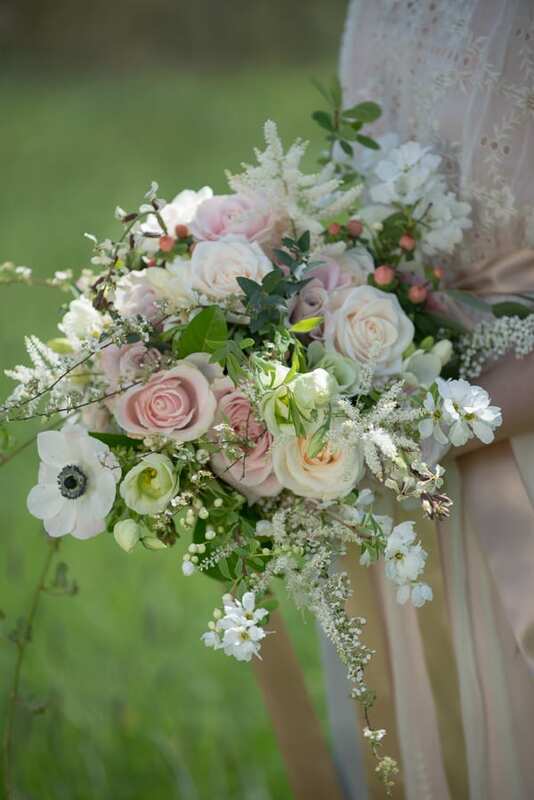 I love the colour palette which Jane chose…soft pale pinks and apricots, cream, white and green! 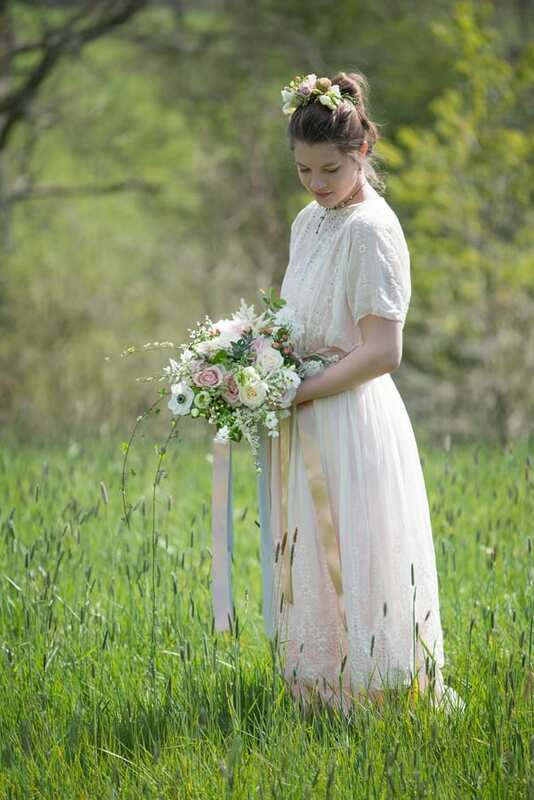 If you’re a bride-to-be and are planning a spring wedding, I hope today’s post has inspired you. If you’d like to see more of Jane’s wonderful floral designs, simply visit the Flowers & Daughters website. 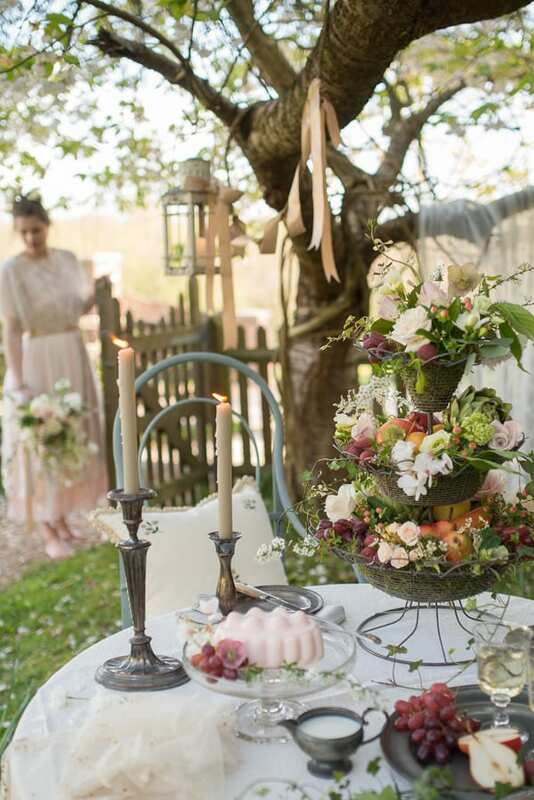 That is lovely especially the tiered table centre & the brides bouquet!Lovely flowers & lovely colours! Thank you Elizabeth, really glad you liked them! Utterly beautiful – love all the blossom. Thank you Ann. Yes, the blossom was amazing last year- hoping for the same this year. It’s just starting to come out now! This is absolutely gorgeous. 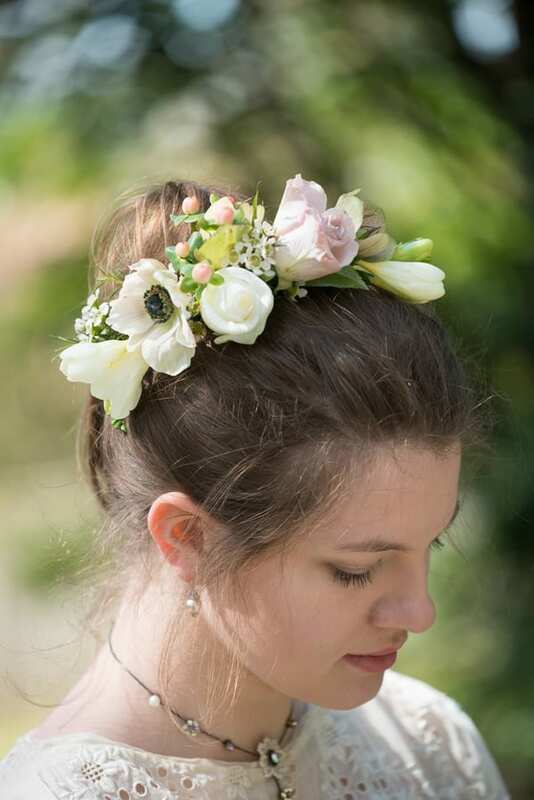 Having shown this blog to my daughter she loved the romantic look, with carefully chosen flowers which compliment the bride rather than overpower her. Love the use of some unconventional flowers and foliage. Would like to see more ! Thank you Linda. Really pleased you both liked it. 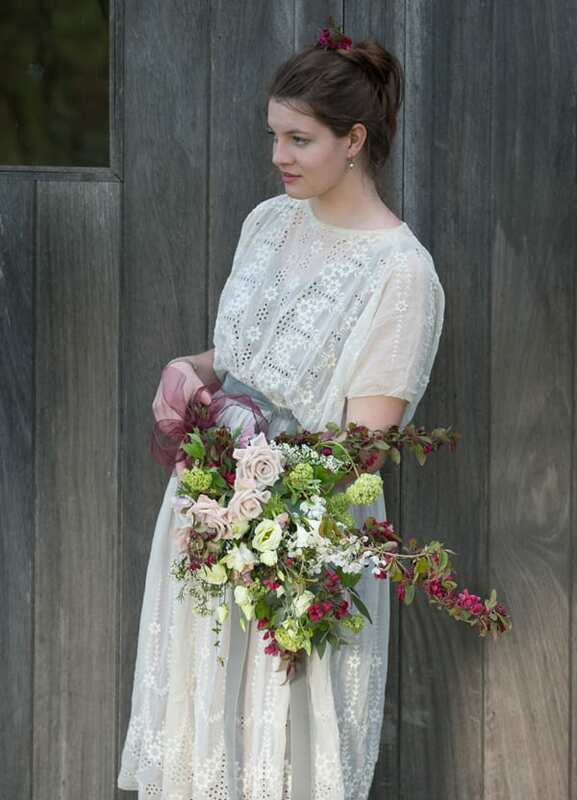 I always try to use flowers that complement the bride and her dress! And I’m always experimenting with unusual ingredients – I have a lot more seeds this year to experiment with! Thank you for your comments! 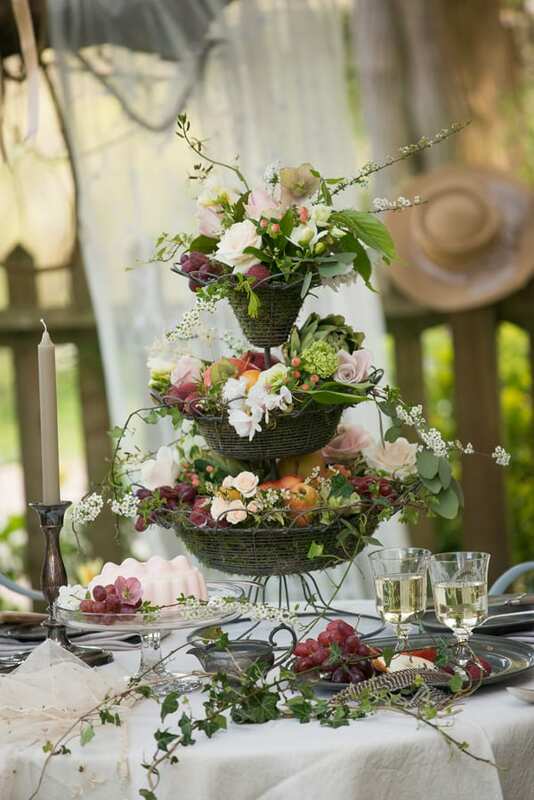 Beautiful combination of flowers and colours, like the way you include unusual natural ingredients, great floral designs. Cordelia, thank you for your comments and so pleased you like the different materials!